Tripod Ball Heads - Which Is The Best One For You Now? Which is a better fit for you, one of the tripod ball heads or a 3-way, pan and tilt head? There is a lot of internet chatter centering around which is a better accessory. These two camera support systems are both popular, but they're really quite different when you use them. 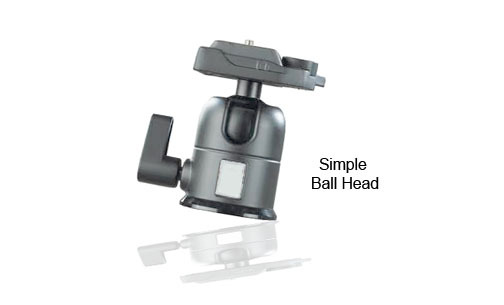 Ball heads have won the battle lately by a landslide, mostly because they are more compact and quicker to adjust. Why does this matter? 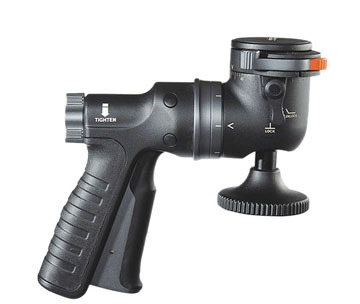 The tripod head you use really makes or breaks the performance of your tripod. Don't focus just on the importance of tripod legs. Both the tripod legs and the heads count as equal parts of the equation. This article will help you decide what's best for you. Ball heads don't have those long screwdriver-type handles sticking out so the ball head tripod is more compact. Ballhead and camera direction can be adjusted with one knob instead of three. That one knob controls all three directional adjustments at once: vertical, horizontal and rotational. Tripods and monopods with ball heads are lighter and easier for you to carry than those that have pan-tilt heads. If well-built with the best quality materials, ball heads can support heavy loads without sag and the need to reposition. The best ones use variable tension to maintain just the right amount of resistance for you to make quick minor adjustments to your camera's exact position. The ball-head has a more compact design and has fewer parts; theoretically giving you less potential to vibrate. Ball heads work both on your monopod and tripod. A good pan/tilt head generally cost you less than a good ball head. In my own experiences, pan/tilt heads have the best durability. Particularly with cheaper models, ball heads don't last as long. There are some pan-tilt heads that have gears that give your precise, small, measured movement control. This is definitely a very useful feature in macro photography where minute changes in composition are often needed. I always use a pan-tilt-swivel head when taking macro photos inside and stationary. When walking or hiking outside and looking for good macro photography ideas I prefer the compact and lightweight ball head.When you are working at big magnifications, those small movements make a big change in your macro photograph. Here is a short video showing how a quick release option for you monopod or tripod works with a small ball head. When using a large heavier camera-lens combination, it may be difficult to hold your camera with one hand and make adjustments to your camera's position. 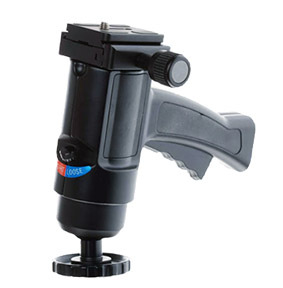 The handles on the pan and tilt head make adjustments to monopods and tripods easier. Pan-tilt heads make no sense at all to use with a monopod except when used for shooting video. A long handle makes panning much smoother. So in this photographer's humble opinion, for 95% of photographers, monopod and tripod ball heads are a better choice. When you need rock-solid steadiness and minute adjustments in your camera position, nothing beats a heavy duty pan/tilt head. Fluid Heads are another choice to think about when it comes to considering what to mount on top of your tripod or monopod. These accessories give you smoother motion when panning with a subject or when tracking it. Here is more about evaluating Fluid Heads. Pistol-grip and joystick heads. The ultimate in quickness for adjusting position. With a quick squeeze of the trigger you can adjust the position of your camera and with an equally release of the trigger your camera is set. Below is an expanded coverage of pistol grip ball heads I merged in from a previous post on this website. You can get your pistol grip head in a variety of different designs. Almost all of them have quick release plates built in. You don't get the same level of rock solid locked-in rigidity with a pistol grip as you do with a traditional ball head and locking knobs. You'll find that pistol are plenty solid enough for most situations, particularly when they are brand new and not overused. You do want to let pistol grip heads "settle" for a second before you trigger the camera shutter. I used the tripod head, shown in the middle above, a Manfrotto pistol grip head for shooting portraits for 15 years before I switched over to using traditional ball heads in 2015. It's biggest weakness is that it's not secure at all in a horizontal position and a full-sized DSLR. Speaking more accurately, these three tripod heads could all be called joystick heads. Pistol grip and joystick heads function in the same way. Squeeze the trigger to move your camera into position. Release the trigger to lock position. They are very simple to use. The sideways joystick models are the best sellers. I like the vertical joystick. It all depends on your shooting style. Pistol grips are fun. Part of the appeal of photography is to enjoy the experience of creating a photograph, not just the end result of a nice picture. Moving subjects. It's more convenient for you to be able to make adjustments for a target that's moving. 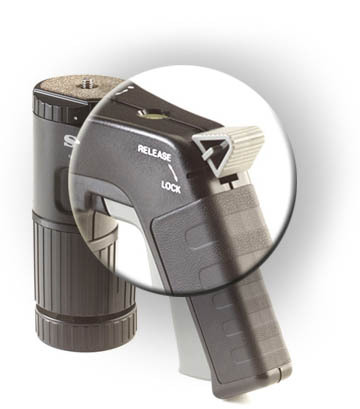 Traditional ball heads and 3-way handle heads require a loosening and then tightening of a knob or knobs. Adjustments in composition. It easy to make big or small vertical, horizontal, or rotational adjustments in your image all at the same time. This is true for all tripod ball heads. If you are making continuous movements, it requires you to keep a hand on the grip. If you need to zoom in and out at the same time, you would need a third hand to trigger the shutter at the same time. You might think this is just nitpicking. You're not the only one. Over time with repeated, the tension may loosen. The better models have a tightening screw, usually a hex nut, to adjust the tension. Weight. They're a little heavier to carry. Heavier is steadier and that's generally what you want.If you're hiking into remote nature spots, you'd be be better of with a traditional ball head. You can find the better quality ball heads at camera specialty stores, but you likely don't live that close to one. As with most specialty items, it makes more sense to shop from your desk chair using your computer. The biggest variety can be found at dedicated photography retailers like BHPhoto, Adorama, or Sammy's. You,ve also got NewEgg and ebay, or of course, the big Kahuna of online shopping, Amazon. I am biased toward toward Adorama and BHPhoto because they are so close to me and I use Amazon so I can read the large number and in depth of reviews. Monopod Vs Tripod Battle. Another fun topic of late has been the debate of monopod vs tripod. Low light capabilities of modern digital camera sensors are changing the way some photographers are using tripods and monopods. Similar to the tripod ball heads vs pan-tilt heads battle, sometimes the answer lies in the type of photography you do. Opteka Monopod Reviews. The features of Opteka monopods, advantages and disadvantages. 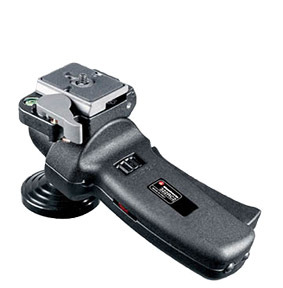 Manfrotto-Bogen Monopods - Reviews. Manfrotto and Bogen Monopods are known for having a steeper price tag, but also a supreme quality. Slik Monopods - Reviews. You gotta love a company with a name like "Slik," a company that has several awards for its designs. Competitors of Slik have copied their designs for a reason. 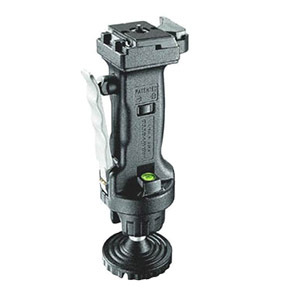 Gitzo Monopods. Gitzo is synonymous with the word "best." Precision workmanship during manufacturing of all their photographic equipment. Best Tripod Head. 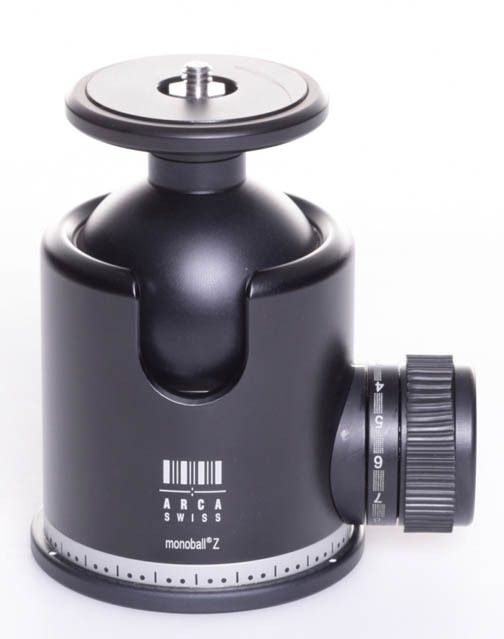 When choosing the best tripod ball head, it is vital first think about how you are going to use it. Useful tips on what to consider before buying a monopod or tripod head. Best Monopods. Choosing the your best monopod involves knowing what kind of photography you do. Your specific needs are just as important as the tripod and monopod reviews that other buyers have given. How to Use a Monopod. Find out the best techniques to use. Using a monopod should be easy, but many people make don't know a few simple tips to get the best photographic results. Monopod Tips. Watch this video with three reasons why using a monopod is important. Also, four more tips on how to get the best results. One more thought on this topic. 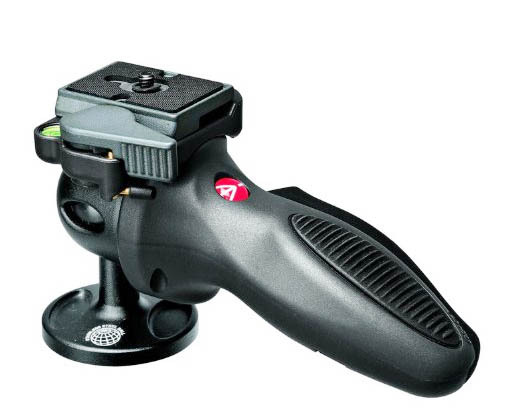 When shooting close-up or macro photography, the pan-tilt tripod heads are much easier to work with. The handles allow you to move your camera angle ever so slightly which is magnified dramatically at such close distances to your subject. Such minute, controlled movements are very challenging with tripod ball heads. In addition to these useful gadgets, there are other basic and unique camera tripod accessories that may be very valuable to your photography, depending on your interests. Enjoy the new world of digital photography and Happy Shooting!